I sincerely regret that I did not put myself into communication with you sooner in regard to the manuscript of your address. Not hearing from you I had given the matter up thinking that possibly you were out of the city and <or> could not find time in your busy life for the correction of the address. 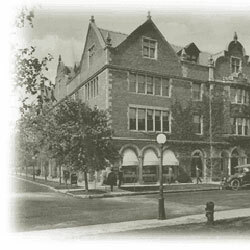 We, therefore, had to go ahead with the printing of the University Record without it. I return the manuscript, therefore, to you expressing my apologies for neglecting to inform you earlier of the situation. 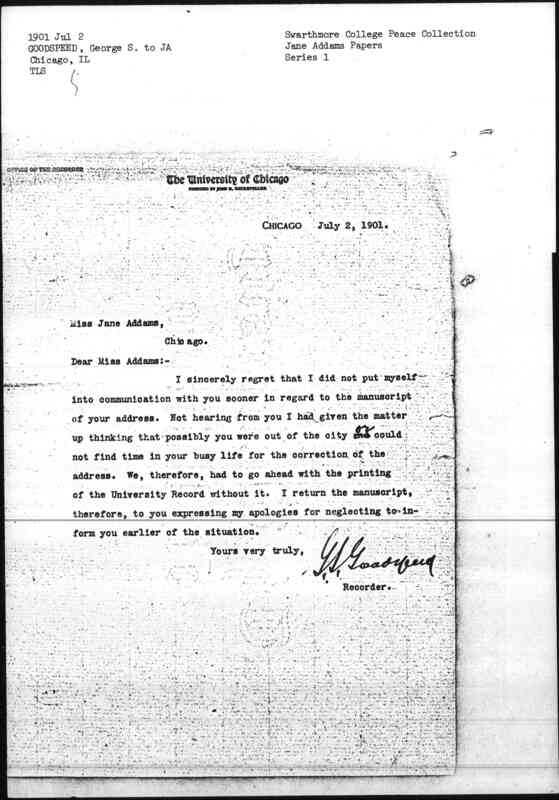 Goodspeed writes Addams to apologize for not getting in touch with her. 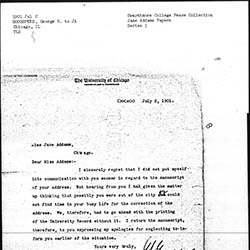 Goodspeed, George S. and University of Chicago, “George S. Goodspeed to Jane Addams, July 2, 1901,” Jane Addams Digital Edition, accessed April 22, 2019, https://digital.janeaddams.ramapo.edu/items/show/955.